No visit to Jaipur is complete without seeing at least one palace and preferably more! 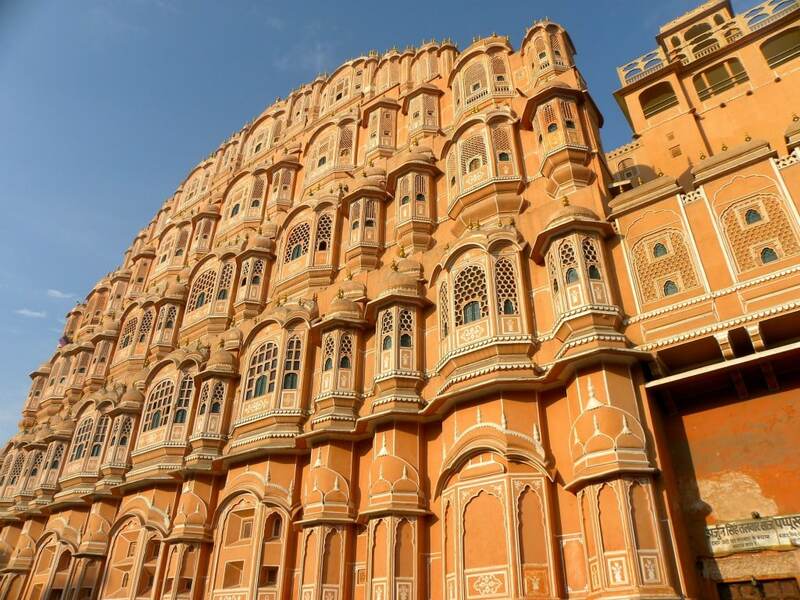 There are so many to choose from, but at the top of my list is the magical and mysterious Hawa Mahal. The Palace of the Winds was built in 1799 and housed the women of the court. It’s discrete series of screens allowed the women to observe life in the street without being seen. Around the corner is the City Palace, famous for its magnificent murals including Peacock Gate. The royal family still lives in parts if the palace, so if you’re lucky you may even catch a glimpse of them. 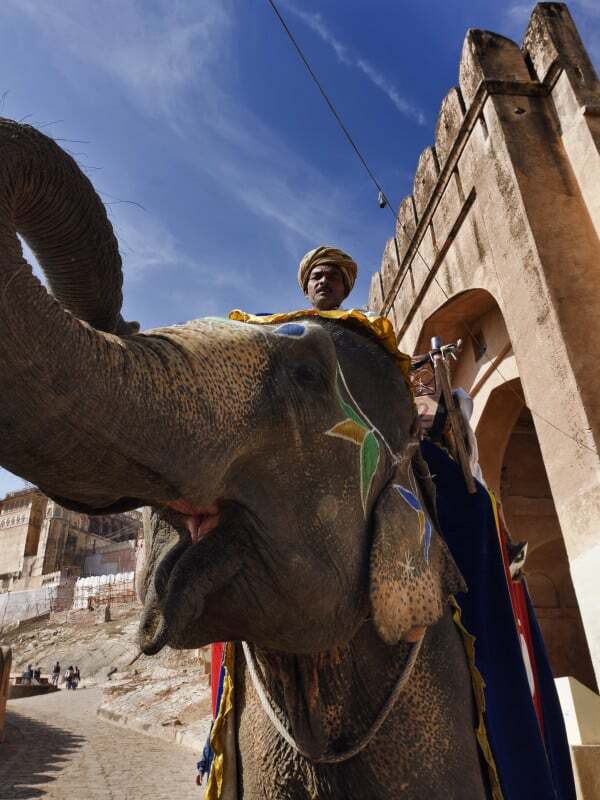 While many people ride an elephant up to the Amber fort, Jaipur is also a great place to spend some time with these gentle giants. 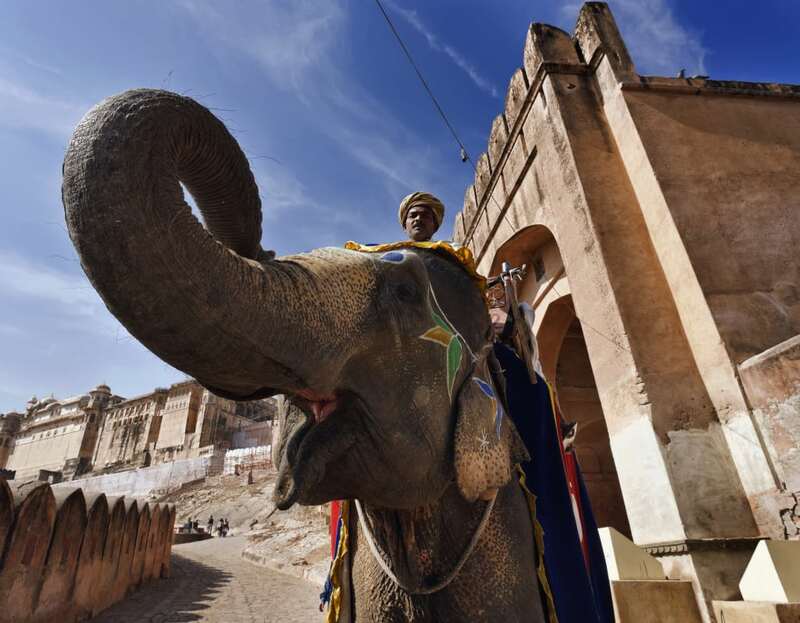 At Elefantastic you can get up close and personal with elephants, feed or bathe them, or even learn how to decorate one with brightly colored paints. Jaipur is protected by three interconnected forts. 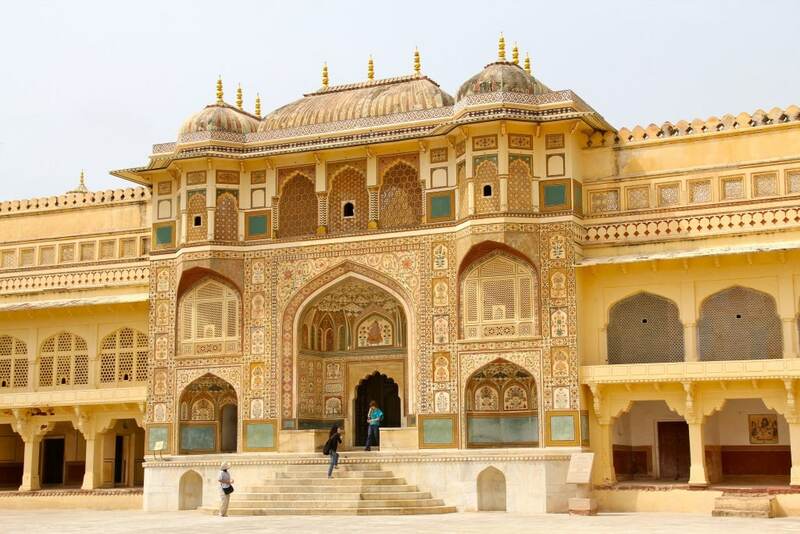 The most popular one is the beautiful Amber or Amer Fort that is perched high on a hill. Within the grounds are intricately decorated palaces, gardens and temples that are a wonderful way to lose yourself for a few hours. You can also find the fascinating Anokhi block print museum here as well. Nearby are the Nahargarh (or Tiger) and Jaigarh Fort. Both were built in the 18th century and provide some lovely views over the city, as well as some fine examples of the Maharajas’ military prowess of the time. Jantar Mantar is a UNESCO World Heritage protected site that was built in the 18th century. It includes some fascinating astronomical instruments that have stood the test of time. It was created by the Mughals who were remarkable scholars with a keen interest in science. If you happen to be in Jaipur in January, it’s impossible to ignore the buzz that takes over the city when the Jaipur Literature Festival comes to town. Local and international authors, literati and celebrities descend upon the city to attend the largest free literature festival in the world. The next edition will be held from 19th to 23rd January, 2017 at Diggi Palace. If you love to shop then you’ve come to the right place. The city is well known for it’s wide range of jewelry, gemstones and blue pottery. 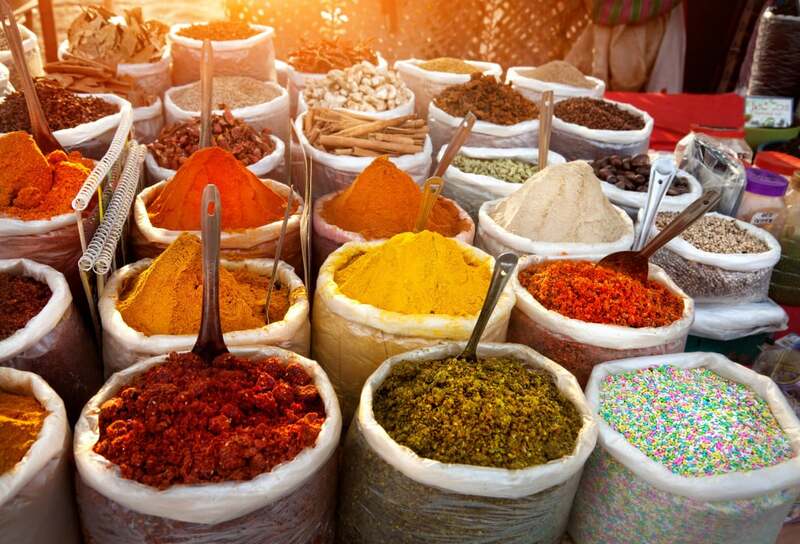 But you can also expect to find a vast selection of Rajasthani crafts, bangles, textiles and spices in Jaipur.